Add this bangle to your collection for a go-to evening out piece! 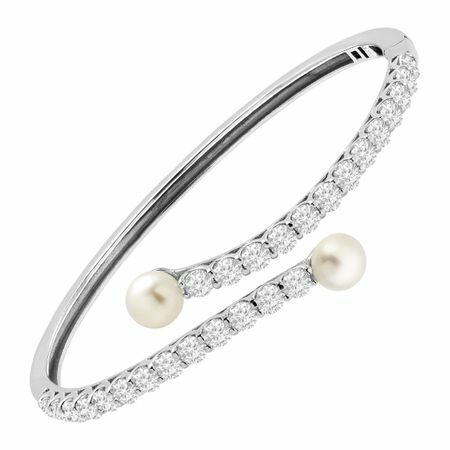 A 6-7 mm freshwater button pearl sits on either end of this hinged bypass bangle, crafted in sterling silver, accented with round-cut white Swarovski zirconia on either side. Piece measures 6 3/4 inches in circumference.